Dr. Imran Rizvi, is an exceptional dentist whose clinical expertise and warm personality go hand in hand to provide you with utmost quality and care in General, Cosmetic, Braces, Invisalign and Implant dentistry. For over a two decade, Dr. Rizvi has devoted himself to giving each patient a personalized approach to their concerns in an atmosphere of maximum comfort and care. His innovative dental techniques paired with an artistic eye and affinity for perfectionism ensures beautiful and natural smiles for his patients. 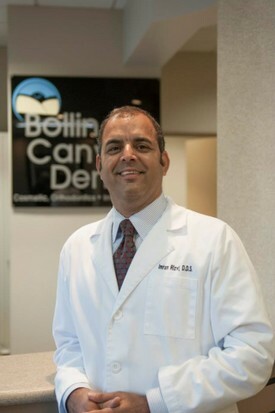 At Bollinger Canyon Dental, great emphasis is placed on detail, aesthetics, a natural result, a caring team, and a comfortable practice environment.